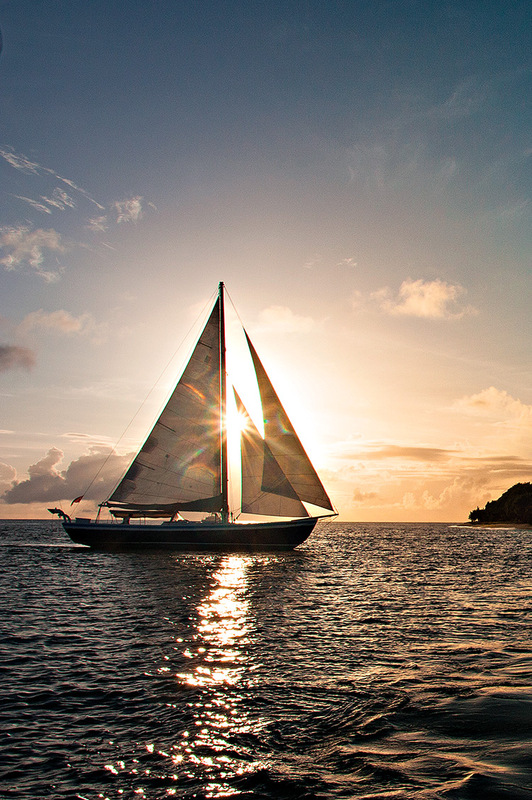 Uncovering the cinematic beauty of the Caribbean's sweetest escape. During the latter part of the 18th century, British magistrates in the Caribbean colonies shipped their undesirables — drunks and general troublemakers — to a cluster of islets in the recesses of the region under the guise of offering them land to farm. Alexander Hamilton’s father was one such property owner, managing a mountainside on faraway Bequia in the turquoise tidewaters of the Grenadines. Long considered hard to settle and unfit for deep-harbor trading (they were also infested with pirates), the Grenadines have since become a precious commodity in the Caribbean — an archipelago of outcrops unfussed by the pace of modern life and mass tourism. The 30-plus islands splash across the sea from St. Vincent down to Grenada like shards of a shattered amphora, each promising its own version of Eden. In fact, the island chain proffers such a distinct feeling of ocean idyll that it was a shooting location for the first three Pirates of the Caribbean films. The palm-studded sandbars at Tobago Cays are ingrained in our collective consciousness as Rumrunner’s Isle, the ultimate castaway locale where Jack Sparrow is left stranded by Captain Barbossa. Today, small sailboats and catamarans carry small groups of passengers to swim with sea turtles in the crystal-clear waters, and picnic under the shade of the coconut fronds. Only a 25-minute boat ride farther south, near the border with Grenada, Petit St. Vincent is the ideal home base for a survey of the area. With more than a hundred acres of rolling tropical greens, the island strikes the perfect balance between dedicated Caribbean resort and private hideaway. 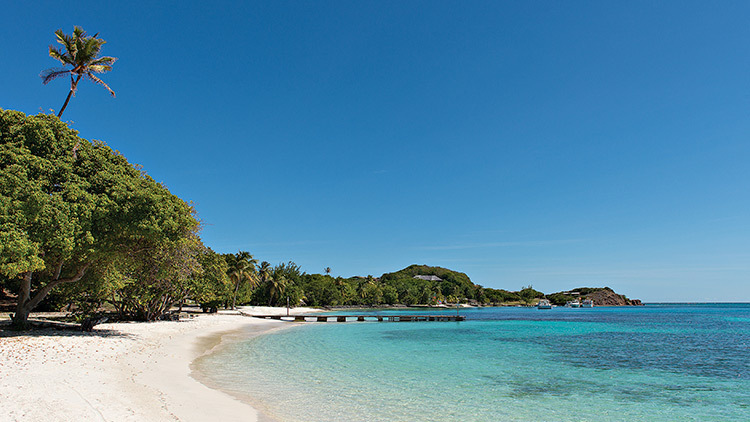 It’s the more chill version of nearby Mustique, where movie stars and models laze on the peachy sand. 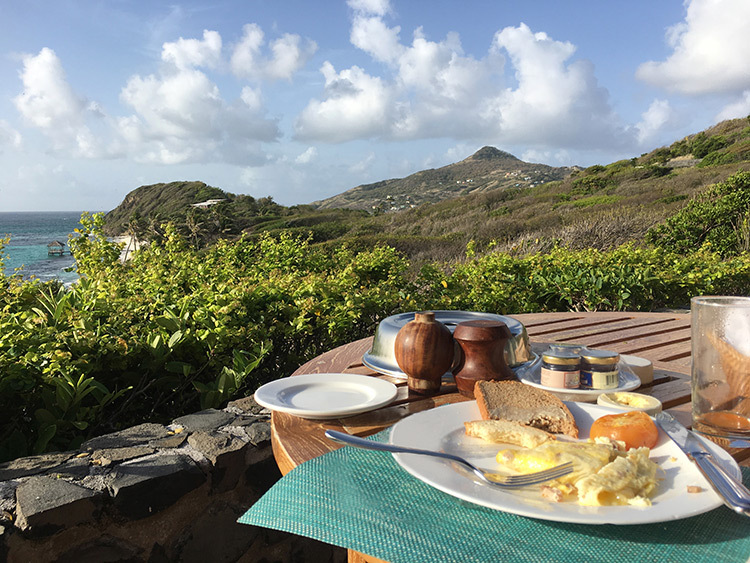 And while Mustique has more than 100 VIP villas, Petit St. Vincent has only 22 rock-walled chalets dotting the landscape—some perched high atop the hill, others built only three steps from the ebbing tide. They all face the horizon to maximize the views, enhanced by floor-to-ceiling screens that glide open to let in the breeze. A purposeful lack of Wi-Fi, telephones, and TV further perpetuates that Jack Sparrow feel. Instead, guests use a system of flags to hail their daily desires: meals, extra towels, or a borrowed book to read on the private patio. The more restless vacationer can hike the calisthenics course up to the top of Marni Hill or kayak along the stunning house reef that rings around the island’s two-mile circumference. But don’t beat yourself up if you just feel like a trip to the Balinese-inspired spa or an extra hour of piña colada–spiked R&R in your hammock. It’ll be worth it. Everything on Petit St. Vincent works in tandem to fulfill, quite literally, your Caribbean fantasy from the movies: the emerald waters teeming with fish, the views of the bright casitas on Petite Martinique across the channel, the smell of barbecued lobster wafting through the air, and even the occasional tortoise sauntering past your toes as you take in the glittering sunset.